Last week, I had the distinct pleasure of watching Bryson DeChambeau hit a brand-new golf club. Imagine the way you'd feel walking into a store to pick out a new puppy. That's the vibe DeChambeau gave off as he unsheathed Cobra's new F9 driver, which was officially announced on Tuesday. As it turns out, DeChambeau is quite the performer, too. 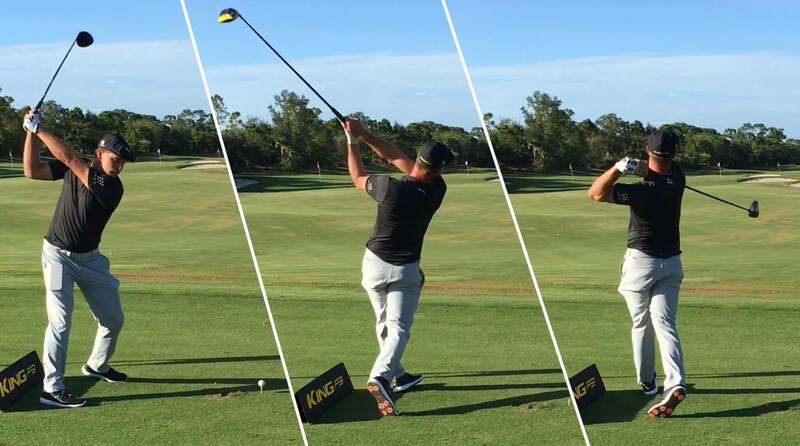 While his PGA Tour game is built around controlling variables, on the range he was far more willing to mess around, try different shots and, eventually, go full send in a long drive contest. He, Lexi Thompson and Rickie Fowler, the three headliners of the Cobra/Puma brand, gathered to show off the new gear. Cobra is stressing "speed" as a prime benefit of their new driver line. So it was only appropriate that DeChambeau gradually began to swing out of his shoes as he chased bigger and bigger numbers on the Trackman. Check out a few selections from their range demo in the video below, but here are five things I took away: Bryson's 25 (and thinks he's old). "I can't pull out that big swing anymore," Bryson says. "I'm 25...but I can feel it." He then did his darndest to prove himself dead wrong. Bryson did his best to go full-send with the new F9.